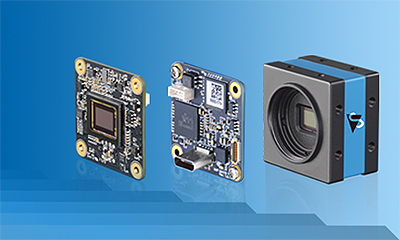 Take the Next Step: Upgrade from CCD to CMOS Sensors Now! Home Media Blog Archive Take the Next Step: Upgrade from CCD to CMOS Sensors Now! In 2015, Sony discontinued all CCD sensors stating that the new Pregius Global Shutter CMOS sensors offer significantly better sensor technology in terms of image quality, sensitivity and performance. The Sony CCD sensors are global shutter sensors with resolutions between 0.3 MP and 12 MP. Sony now offers a Pregius global shutter CMOS sensor for each individual CCD sensor with better features and performance at lower costs. The Imaging Source offers cameras with Pregius sensors from 0.4 MP to 12 MP with GigE, USB 3.0 or USB 3.1 (gen. 1) interface. We strongly recommend that you begin the migration from CCD sensors to CMOS now. Pixel size and sensor format are important factors when transitioning to CMOS sensors and beginning the process now allows for testing of the new CMOS cameras in your application. If you have questions about switching to CMOS sensors, please contact us. Post published by TIS Marketing on June 25, 2018.